Light and portable brochure holder. 8 pockets for A4 leaflets. 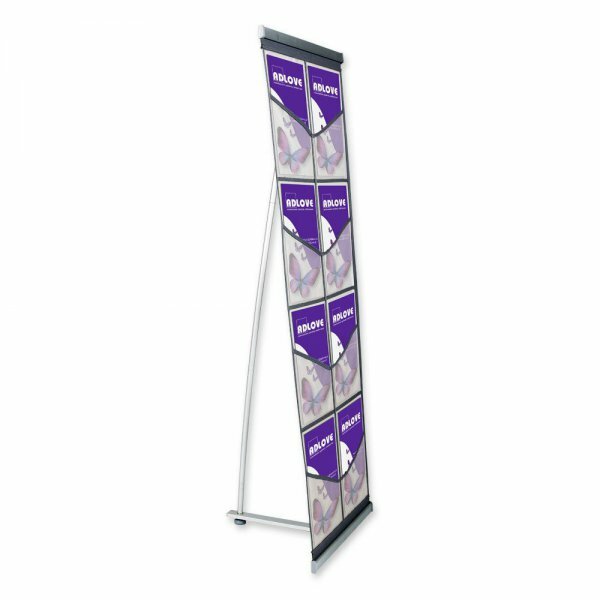 Brochure holder made of aluminum with 8 net-made pockets. Light, portable and easy-to -use. Very effective advertising wall. Modern shape. No reflection effect. Complete with carrying bag.